Oh my....this pie looks like it is going to be a good one. I am going out right now to find coffee ice cream. (Please, please, please let me find coffee ice cream.) I'm sure Ben & Jerry's would have it, but being in Canada we don't get the full list of flavours. The recipe itself looks very simple. I like simple...especially when it comes to a summer dessert. I hope this one is a keeper. (The recipe that is.) I am going to be substituting peanuts for the pecans, as one of my taste testers is allergic to nuts (but can eat peanuts...because peanuts aren't a nut...even though it clearly has a 'nut' in its name...yes peanut, I am judging you.....good day). Okay, am back from the grocery store......and I've had success!!! 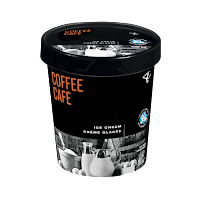 President's Choice (here in Canada) actually makes a coffee ice cream. Time to get this ice cream pie made. Next comes the fudge filling. Going to need some good chocolate for this. The chocolate gets chopped up and put in a bowl. Then the cream, butter and syrup mixture was brought to a simmer on the stove.....and this was poured over the chopped chocolate. After a minute, I was able to whisk it all together. The icing sugar and bourbon Irish Whiskey ('cause that's what I had) were then whisked into the mixture to make this yummy fudge filling. 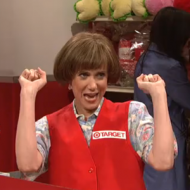 Of course after making fudge, I have this commercial in my head. "It's that big chunk of fudge." That's normal, right?! The ice cream is the next layer. It needs to be softened up a bit before I'm able to smooth it over the fudge filling. Lastly, the fudge topping gets made. Much like the fudge filling, minus the icing sugar. It is a thing of beauty. Can't wait for my taste testers to get here, so that we can dig in!! My taste testers brought me a new and lovely plate as a gift. I was very excited and couldn't wait to show it off in this post. But then the clock struck midnight....and the plate struck the floor. The culprits? We don't know nuthin' 'bout no plate, lady. Love could not hold these birds together. This really wasn't the photo I imagined for this plate. <pout> And look how cute it was! Perhaps they spotted the birds?! The Mississippi Mud Pie was a hit. We all loved it. Hubbie thought it might be good with Peanut Butter ice cream too. I agree, the peanut butter ice cream with all that chocolate....yum! I think it is a great treat to have during the dog days of summer. (Did you hear that girls I'm getting a dog....in the summer!) I'm not really, but don't tell them. I highly recommend this pie. Head over the Baked Sunday Mornings to get the recipe and see how the rest of the Baked gang did this week. The plate is too cute - sorry it's broken! Your pie looks lovely and I'm so glad this was a hit at your house! Your fudge topping is absolutely beautiful. And I agree - this basic recipe would work great with lots of different combinations. Gingersnaps and maple ice cream? Sorry to see about your plate! Your pie looks great! So sad about your cute plate!! Sorry about the plate-- adorable, indeed! :( On the bright side, your pie is beautiful and I'm sure it was delicious! Like Sheri said, that fudge looks D-I-V-I-N-E! Love the peanuts on top!